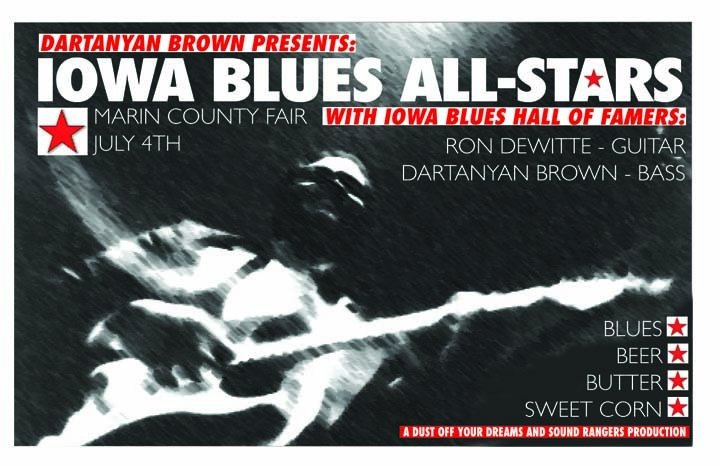 The Iowa Blues All-Stars featuring Ron Dewitte and Big Mike Edwards Craig Horner and Jaimeo Brown. Fine poetry and acoustic bass. 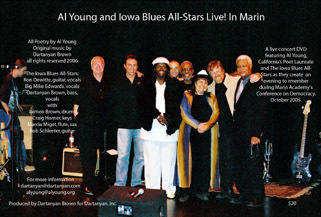 Ron Dewitte and Dartanyan unplugged at the Marin County Fair July 4th 2006 in this Sample File Just a pickin' and a singin' in Marin baby. Inaugural album from one of the brightest young talents in Jazz and new music today. Joined by Kelvin Sholar on keyboards, formerly with Lenny White. 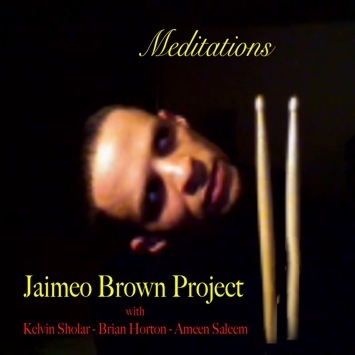 Randy Brecker, Wynton Marsalis, Ronnie Cuber and Steve Turre all attest to the talent and vision of drummer and composer Jaimeo Brown. Check this Sample file from his first recorded collection of deep mood instrumentals.